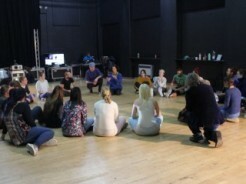 Jess trained at the London School of Contemporary Dance from 1976 -1979. She became a principal performer with Moving Being, the Wales-based multi-media theatre company, in 1979, she was with them for 7 years until 1986 touring extensively throughout Europe. In 1987 she was awarded an Arts Council travel bursary to study Martial Arts, Peking Opera, black ink drawing and Mandarin in Taiwan. On her return she created and toured two solo works. 1989 saw her first collaboration with Director Jim Ennis who directed her second solo work. Later that year, together with Jim Ennis she formed Earthfall. Earthfall was founded to create multi-disciplinary performance work and since its creation Earthfall has performed throughout the world at numerous festivals and tours. 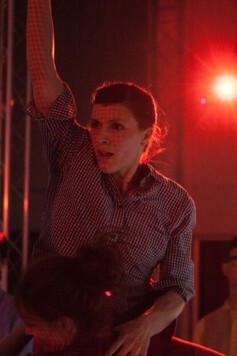 Jess performed in the early Earthfall pieces before focusing on her role as Artistic Director. Jess is a National Advisor to the Arts Council Wales. 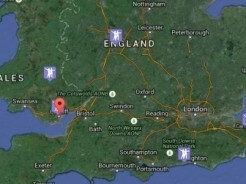 Jim trained in England at Dartington Hall College of Arts from 1974-1977. In 1978 he founded a performance company and moved to Holland collaborating with performance artists and the Dutch National Ballet. He attended Grotowski’s Theatre Laboratory in Poland. In 1978-1983 he was a principal performer and collaborator with Dutch international theatre research group Kiss, touring throughout the world. He authored 3 plays and co-authored The Theatre Research Book. In 1984 Jim joined the Cardiff Laboratory Theatre in the UK, he was also invited to perform with the Gardzienice Theatre Association, Poland, remaining with them until 1989. 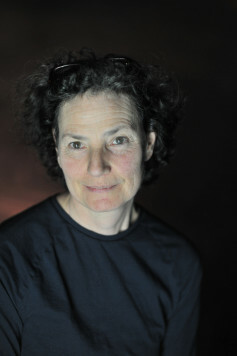 He formed Earthfall with Jessica Cohen in 1989. With Earthfall Jim initially started as Director/Performer but then concentrated solely on directing, choreographing and co-devising all the company’s works. Jessica Haener is from Geneva where she started dancing with Rock N Roll. She continued her training in contemporary dance in Barcelona, Zurich and London, graduating in 2013 from Trinity Laban where she worked with Susan Sentler, Charlotte Darbyshire and Simon Vincenzi amongst others. 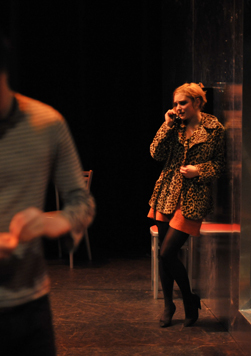 Alongside her study, she has been performing for Jeremy Nelson and as part of company å in the production Room 40. Chelsea Hotel was Jessica’s first Earthfall production Stories from a Crowded Room will be her second production. 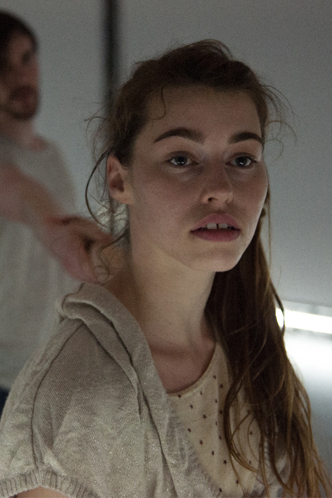 This is Rosalind’s 5th show with Earthfall, performing in Gravitas, Gig, The Factory, and Chelsea Hotel (Best Small Scale Dance Production in Wales 2013). Having moved to Cardiff in 2005 to start her career, Rosalind has worked with many different choreographers including Ballet Cymru, Deborah Light, Firenza Guidi, Javier De Frutos, Marc Rees, Marega Palser, Mr and Mrs Clark, National Theatre Wales and Sean Tuan John. Rosalind’s has made several dance films with Earthfall including the film ‘Postcards’ (nominated for a Welsh Bafta). She has also choreographed and performed a solo dance film with Anna Lewis, an artist and designer. She performed in Deborah Light’s Show ‘Hide’ which was also nominated for Best Dance at the Wales Theatre Awards and toured between 2013 – 2015. Rosalind formed the company ‘Kitsch & Sync Collective’ with 2 friends in 2012; a dance, theatre comedy company touring dance and music festivals across the UK. They have also created full length shows ‘Private Eye’, ‘Last Chance Romance’ and ‘Ruckus’. She is looking forward to the Autumn tour of Stories from a Crowded Room. Rachael is a freelance dance artist based in the UK and has worked with numerous artists including Anna Watkins, Mina Aido, Tara Baker, Jack Webb and Theo Clinkard. During VERVE: The Postgraduate Performance Company, where she graduated from in July 2014, she had the opportunity to work with Ben Duke, Lea Anderson and Jamaal Burkmar touring nationally and internationally, as well as being awarded the Overall Outstanding Achievement Award. Rachael was also a part of the first cohort of dancers to be involved in the Kerry Nicholls Professional Mentoring Programme in 2014. Rachael is interested in collaborating with visual arts, performers and designers to explore her creative and choreographic methods as well as explore multi-disciplinary art forms within performance. Rachael joined Earthfall as an Apprentice in September 2014 for the research and development of Stories From a Crowded Room, she joined Earthfall as a company member to continue with the production. Sebastian first started off his career in dance, working with National Dance Company Wales. Later, moving on to work for other Welsh based companies such as Dynion Pro in Swansea, Welsh Independent Dance, and Sean Tuan John. Sebastian started working for Earthfall touring for autumn 2010 and spring 2011 with the company’s production The Factory and then Chelsea Hotel 2013/ 2014. 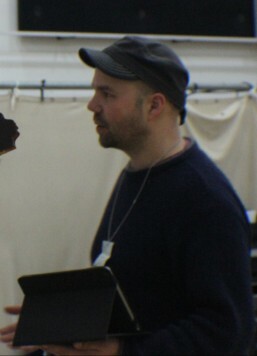 The most memorable experience for Sebastian was having the opportunity to work for Nigel Charnock, in a production later to be known as TEN MEN. From February 2014 -2015 Sebastian has been touring Italy with BLOOM! 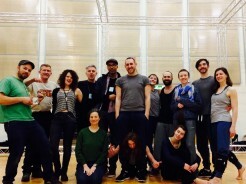 Dance Collective a London based Dance Company in their production TAME GAME. Now working for Miguel Jorge Rosado Moreira in the production Under Sebastian is very excited to see what will happen working with Earthfall for the Stories from a Crowded Room tour. Alex is a Performer and Dance Maker based in Cardiff, Wales. Alex Studied Drama, Dance & Aerial Performance at Edge Hill University, graduating in 2012. Since then he has worked with Edge FWD, 12 Degrees North, Gary Clarke, Chloe Loftus Dance, Sean Tuan John, & Bombastic Dance theatre. Alex was recently commissioned by Coreo Cymru’s Dance Shorts scheme to create 10 minutes of fresh & exciting pop up dance Introducing Gary & Pel. Stories from a Crowded Room is Alex’s second Earthfall production after the award winning Chelsea Hotel. 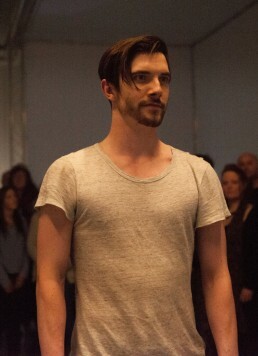 Iain Payne was born in Gibraltar and graduated from the Northern School of Contemporary Dance in 2001. He has toured extensively throughout the UK and internationally with Carlson Dance Company, Ballet Lorent, Sean Tuan John, Ludus Dance Company, Bombastic and TaikaBox. Iain has worked professionally with Javier De Frutos, Charlotte Vincent, Nigel Charnock, Run Ragged Productions, Jo Fong, Tanja Råman, Joanna Young, Rosie Kay and Dylan Quinn. Iain has a Masters Degree in Photography and has collaborated with dance artists as a photographer. He has taught in schools and universities across the UK and has recently been working with Powys Dance as a Dance Development practitioner. 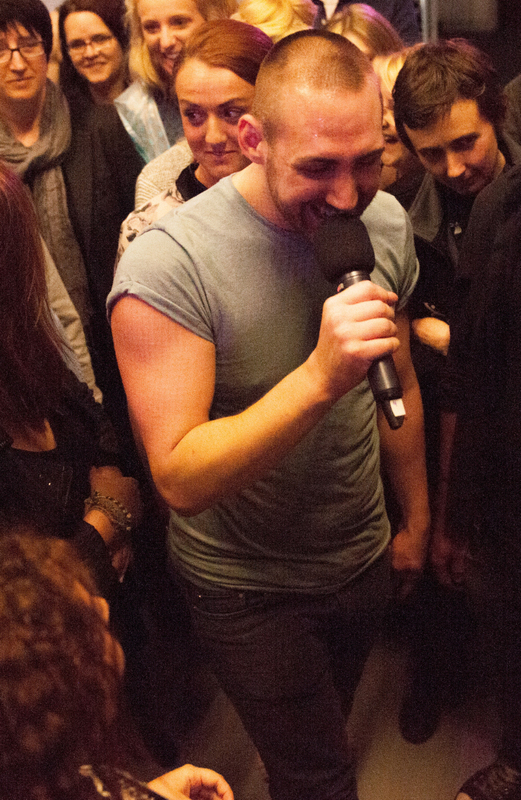 This is his first time performing with Earthfall after taking part in the R&D in September – October 2014. Beth’s professional portfolio includes collaborations with Earthfall, Mafalda Deville, Tilted Productions, NTW and numerous independent directors including- Jem Treays, Theatr Iolo, Gerald Tyler, Caroline Sabin, Sean Tuan John, and Lisa May-Thomas. Beth creates her own work combining sculpture & dance performance. 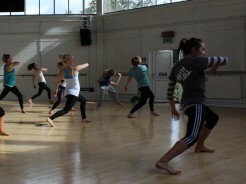 Commissions include professional residencies at Bath Spa University and Banes Youth Dance Company. In 2014 Beth toured internationally with Jo Fong to Montreal, Edinburgh Fringe and Europe. Beth continues to develop her voice, has been commissioned to sing for composer Andy Pink and featured in Caroline Sabin’s Blood on the Snow– theatrical production of Benjamin Britten’s Ceremony of Carols. 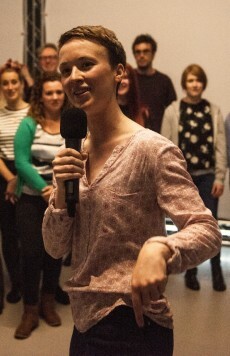 Lara is an Aberystwyth born professional performer based in Cardiff. A contemporary trained dancer and physical theatre performer, she has also worked as a backing dancer, contemporary ballet soloist, aerialist, tap dancer, punk singer and choral singer. Lara has devised and toured five productions with Earthfall since joining them in 2008. She was a dance coach for At Swim Two Boys 2011/12 tour and has traveled to Poland to work with Earthfall’s partner company, Chorea choreographing on their young choir and delivering professional masterclasses. Lara has extensive performance experience, having also worked on a range of productions with different companies and directors over the last 10 years. Her 2014/15 work includes productions with Olivier-Award winning Javier De Frutos, Marc Rees (National Theatre Wales/Theatr Genedlaethol production) , Jo Fong , Caroline Sabin and Kitsch & Sync. Lara performs not only in theatres, but woodlands, city streets, seaside promenades, churches and galleries where the audience is all around you. She is really excited to be working with Earthfall on their 25th Anniversary and dancing amongst the audience in Earthfall’s most immersive production yet. 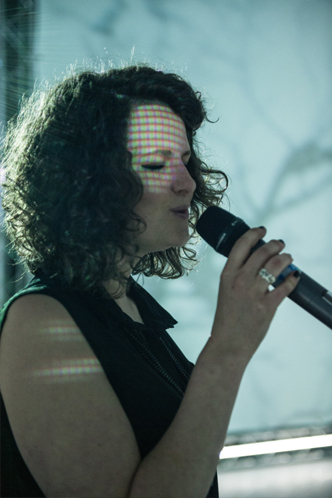 Rhian Williams is a professional musician and composer who specialises in rhythm and drums. Before graduating from the Royal Welsh College of Music, Rhian worked as a composer for dance companies such as the National Dance Company of Wales. Following higher education, Rhian found a love for mentoring, and spent three years teaching drum kit, tuned percussion, taiko and steel pan in schools, mental health institutions, with ex-offenders and troubled teenagers in Wales. She then toured the UK teaching African drumming to teenagers with English as a foreign language. Rhian has worked as a composer for independent film and various dance companies including Kitsch & Sync, and is currently a professional recording and international touring artist with many projects including The Zen Hussies and Bombs. 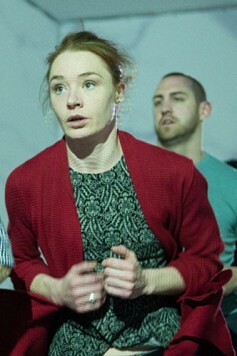 She rejoins the company after taking part in the R&D period and is looking forward to touring with the company. Eric Martin Kamosi is a creative musician based in Cardiff. 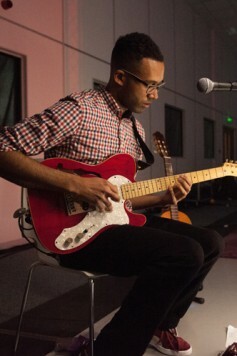 He attended the University of South Wales to complete a BA (hons) degree in Creative Sound and Music. He has a family background in the arts and has played guitar assiduously since early childhood, he enjoys writing blues, rock, electronic and aleatoric music forms. He also has an interest in computer music, image and sound installation. This led him to study Integrated Media at OCAD University in Toronto. Eric likes pancakes! Mike Brookes is an award winning artist, director and designer, known primarily for his propositional practices within the form, function and location of performance and live art. 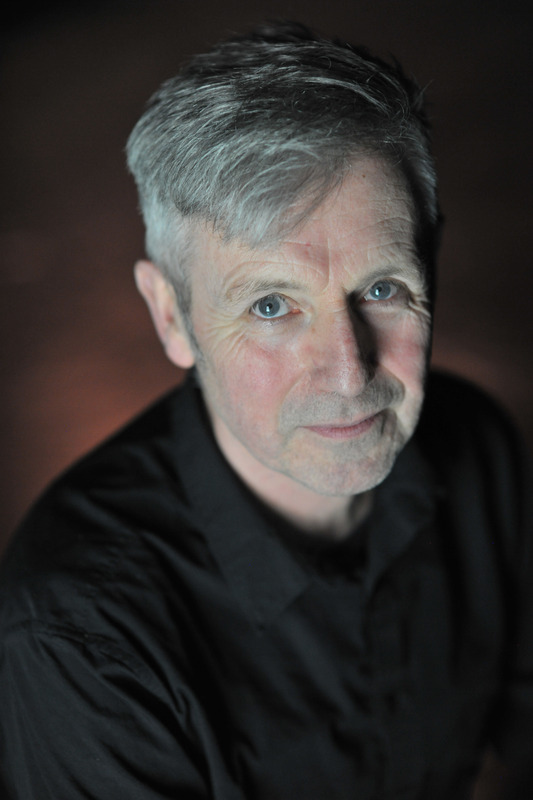 He co-founded the performance collective Pearson/Brookes with Mike Pearson in 1997, their work together being generally perceived to have pioneered mediated and multi-site performance practices. 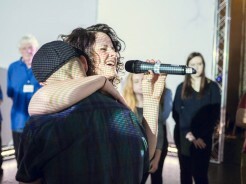 Most recently co-creating their acclaimed theatre work ‘Coriolan/us’, commissioned jointly by the Royal Shakespeare Company and National Theatre Wales, for the 2012 Cultural Olympiad. His work is currently focused within his long-term collaboration with artist Rosa Casado, producing intervention and gallery works under the umbrella title ‘Some things happen all at once, some things happen more slowly’ – their work having been widely commissioned and presented across Europe, Asia, Australasia, South America, and USA. 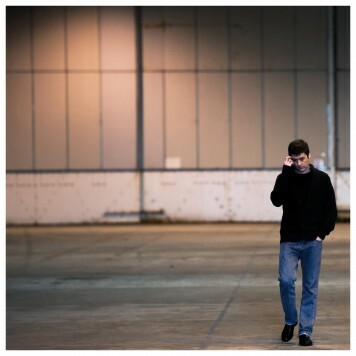 He has now contributed to thirteen Earthfall productions, since first working with the company in 1993. Other ongoing collaborations include Quarantine and Untitled Projects. Recent awards include a Creative Wales Award from the Arts Council of Wales 2007, TMA Best Design 2010 award, Wales’ Critics Best Production Award 2012, and the CATS Best Design Award 2014. In 2007 he was appointed Creative Research Fellow within Aberystwyth University, and received a doctorate for his contributions to intermedial and located performance and live art in 2015. Giles has previously worked for Earthfall and has extensive experience working for touring companies as well as events and festivals across the UK. Sound designer and musician Felix is into his second decade of helping shape Earthfall’s musical landscape. He has previously performed in productions as a musician, including the award winning Chelsea Hotel. He brings with him a wide range of international experience in touring sound and music production… although sometimes wishes he’d listened harder at school.